Ouch! Why do I have to pay Private Mortgage Insurance?! If your down payment on a home is less than 20%, or if you refinance a mortgage with less than 20% equity, you will be required to pay Private Mortgage Insurance by your lender. Also known as PMI, this insurance policy protects the lender from losing their investment should you end up in foreclosure. PMI is based on both the amount of your down payment and your credit score, and ranges from 0.3% to 1.5% of the original loan amount per year. This amounts to around $100/month or more (depending on the size of your mortgage), so it’s a healthy added monthly expense! Your lender must automatically cancel your PMI when your loan principle balance drops below 78% of the home’s original value. This typically takes several years, and is an added incentive to pay down your loan principle. Keep close track of your loan balance, and contact your lender when your balance reaches 80% of your home’s value, so you can request a cancellation and get this monthly expense off your budget. Can I get rid of PMI sooner? You have two other options to cancel your PMI before reaching the 78% mark of your current mortgage balance: refinancing or getting a new appraisal. If the market has been good, and you believe your home’s value has increased significantly, refinancing may leave you with enough equity to meet the 20% rule. Especially if you have done any home improvements that increased your value, this could be a good solution. Check with a lender to run some numbers and see if this option will work for you. 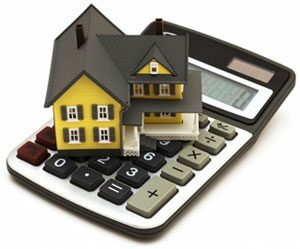 Some lenders will consider a new appraisal in meeting the 20% threshold. You will have to pay for it yourself, but considering the monthly cost of PMI, it may be worth it to you. Check with your lender before spending the money to see if they will consider this possibility. 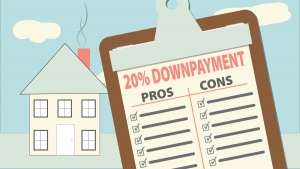 Do your best to have 20% ready, or as close as possible, for your down payment so you can avoid this add-on mortgage expense! If you are already paying on a mortgage that includes PMI, work on paying down your principle faster than your scheduled payment are achieving. Even paying an extra $50 a month can dramatically drop your principle balance over time. When mortgage rates are low, as they continue to be, refinancing can get your out of not only PMI, but offer you a lower monthly payment for even more savings. If you bought your home a few years ago, say with only 10% down, and you have made improvements to its value, you can likely refinance and avoid PMI. As always, your finances and budget are in your control if you stay on top of things and pay attention to your options. How Much Mortgage You Can Really Afford? Your House is Under Contract! What should you expect during the Inspection process?